It’s Friday and we’ve all had a busy week. I could write up a lengthy article on the development of characters through the past events of their lives, but who wants to read that to end their week? 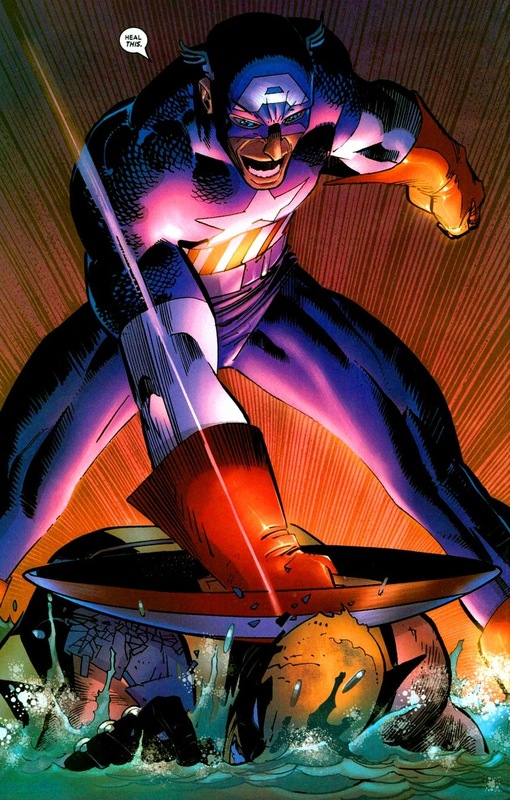 Instead, let’s have Wolverine claw at superheroes. 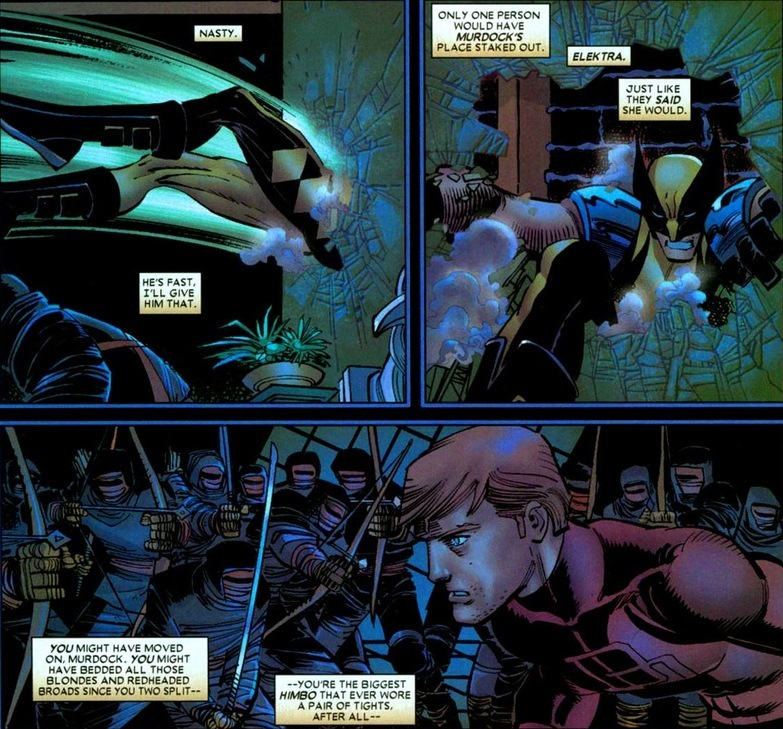 So, Wolverine #20-25, volume 3, written by Mark Millar and drawn by John Romita Jr., had this fantastic idea that the most powerful of the ninja cults, The Hand, manages to kill Wolverine (aka Logan). Yes, it’s possible. 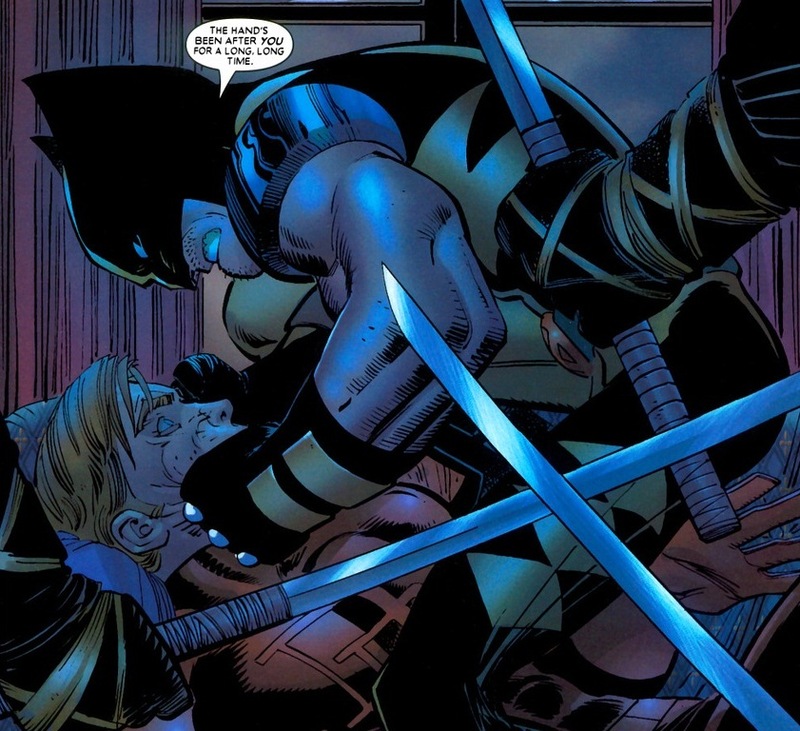 And so how does that lead to Logan slashing his buddies? Turns out The Hand has the power to resurrect the dead, only with crazy brainwashing filtered in. 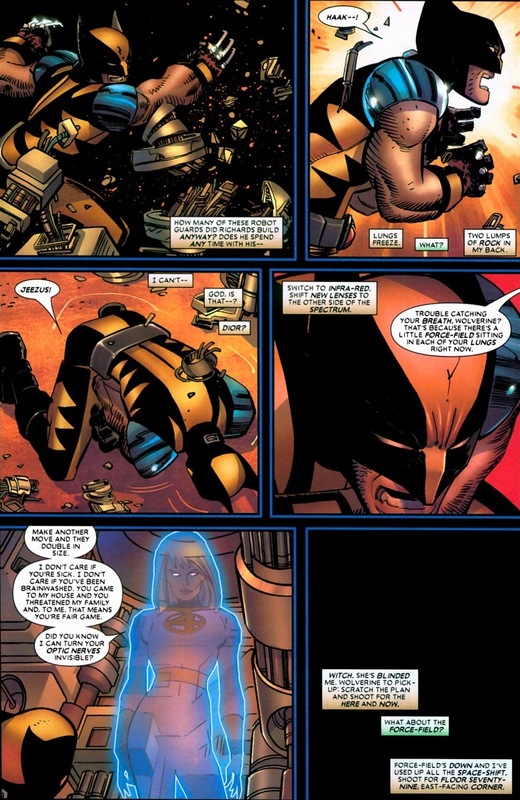 They decide to use Wolverine for evil, because that’s what supervillains do. We’ll take a look at two of his many battles here. Logan ain’t a stranger to butting heads with other heroes. 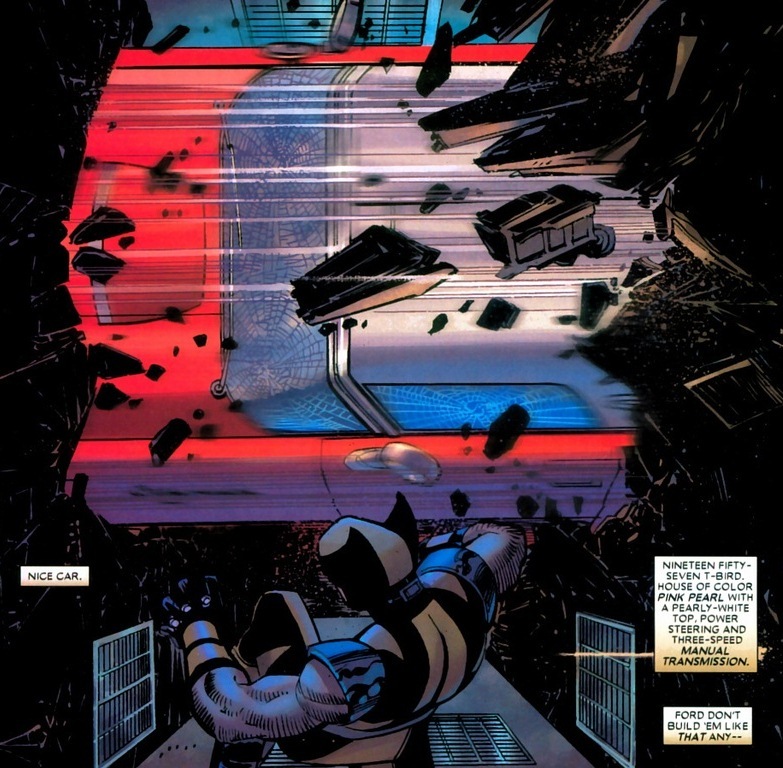 What makes this arc so great is we also get to go inside Wolverine’s head. Nice to get an insight into his opinions, strategies, and special powers that all get center text box stage. 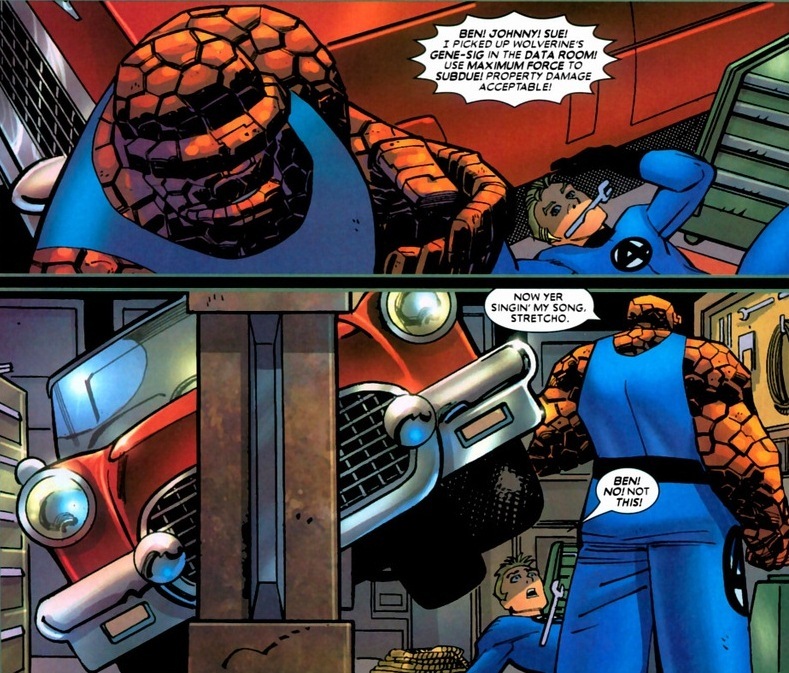 Unfortunately for Wolverine, the Baxter Building where the Fantastic Four live also houses the most advanced and sophisticated security system in the Marvel universe. Mr. Fantastic, being the smartest man in the world, and two young children to protect provides suitable motivation for all that tech. And the fight begins! First up, the Human Torch. 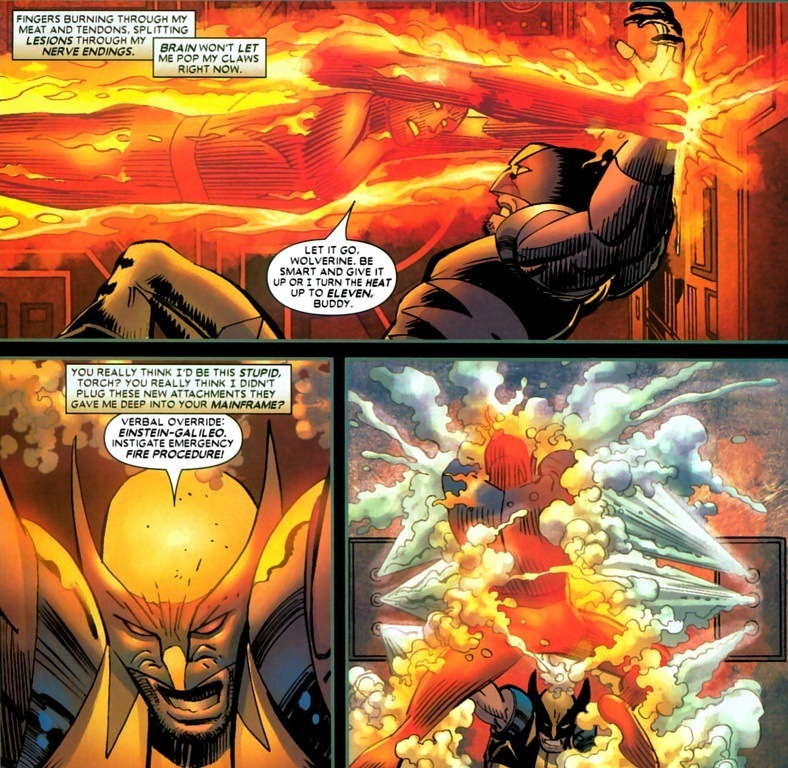 Human Torch incapacitated. 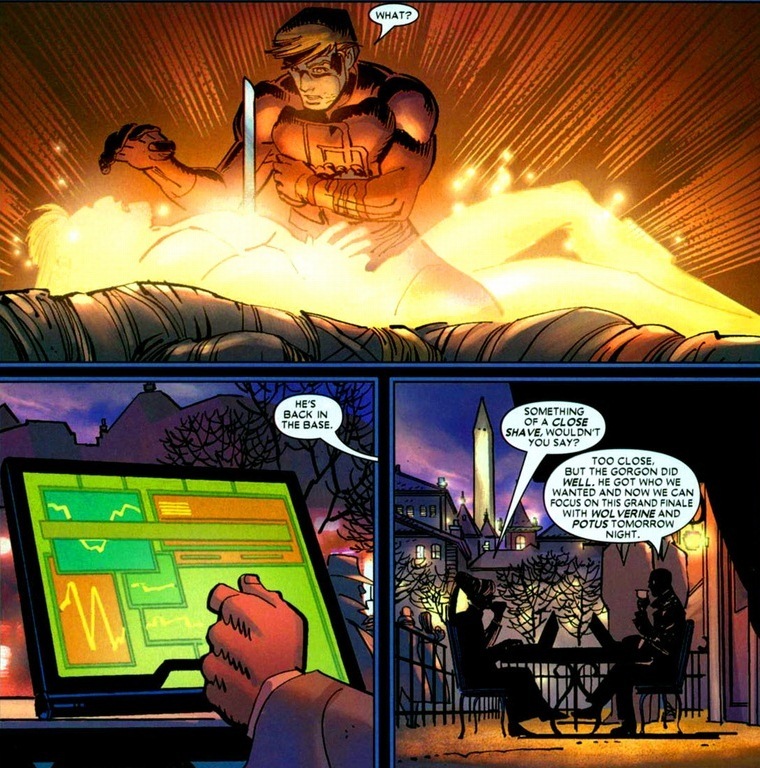 Did you know Wolverine’s the best there is at what he does? Like taking down a fellow superhero in four panels. Oh yeah, but there were two FF dudes in the garage. Let’s talk numbers for a second. 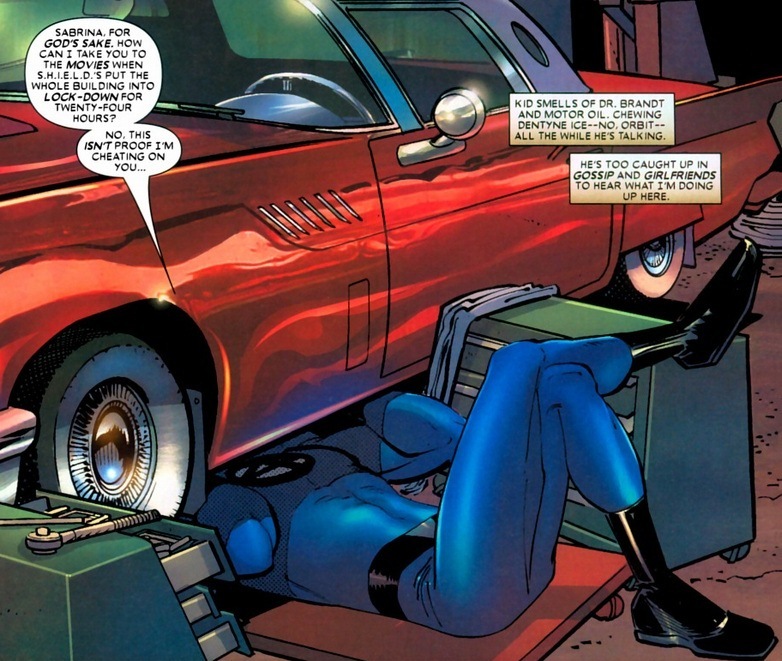 Wolverine may have super strength, but that taps out around 800 pounds, about the same as Captain America. 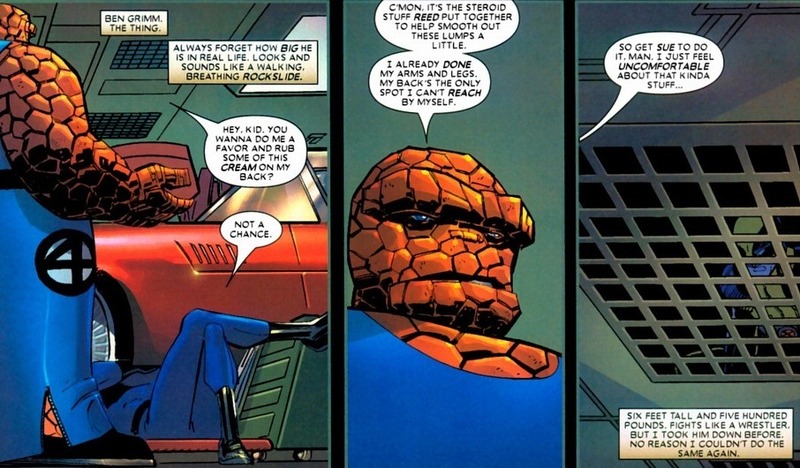 The Thing maxes out at 100 tons, making him a good 250 times stronger than poor Logan. 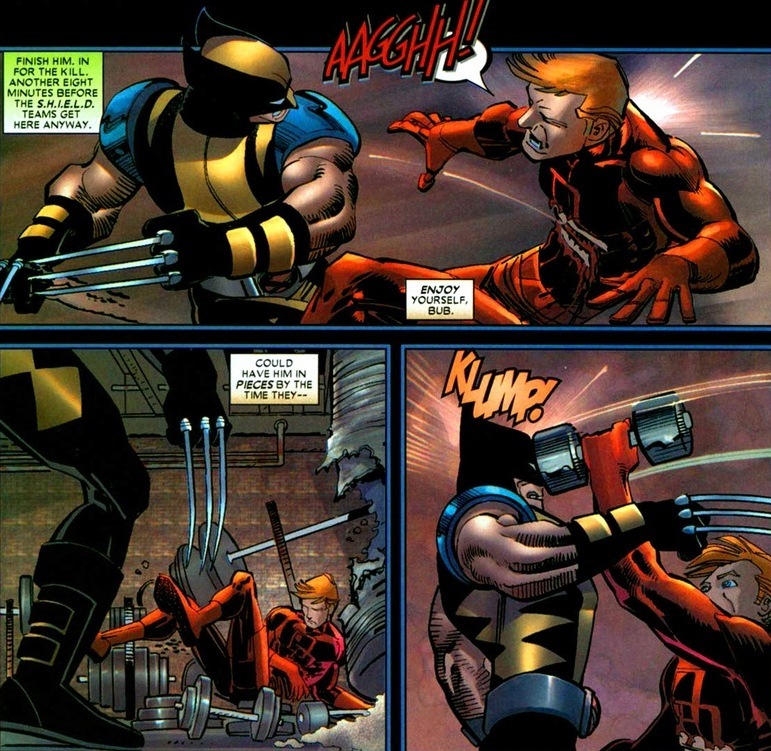 Yeah, Wolverine’s faster, but a few rock monster blows to the head would concuss him into failure. Luckily for our protagonist, he comes out on top. But how does he fare against science? 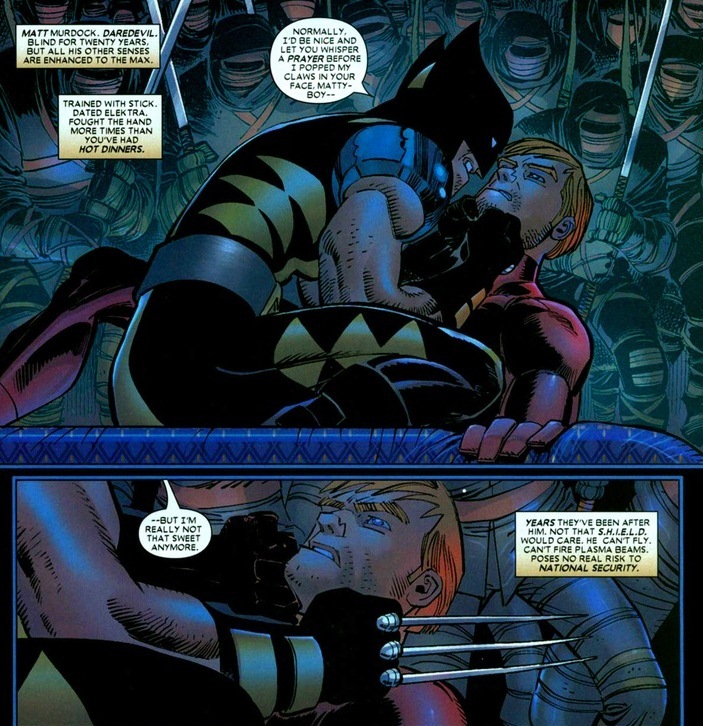 Okay, so Wolverine’s cheating. Shady bad guys can teleport him around. It happens with the best of us. 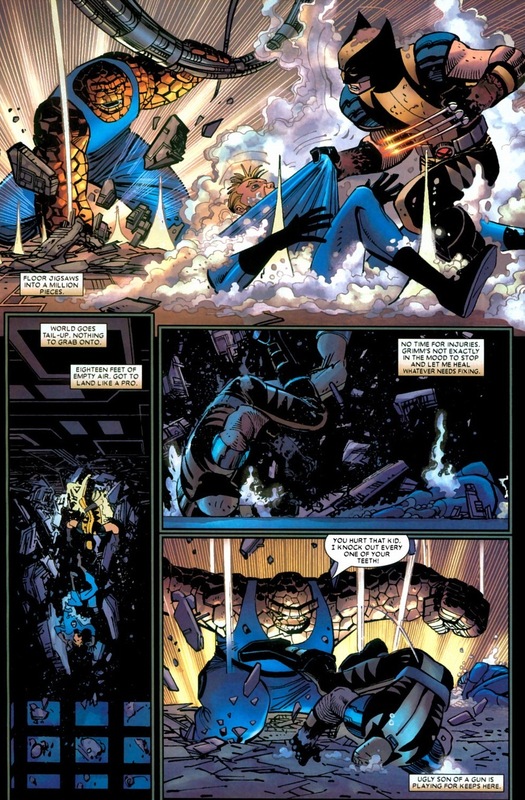 Though now he combats with the undisputed most powerful of the Fantastic Four. 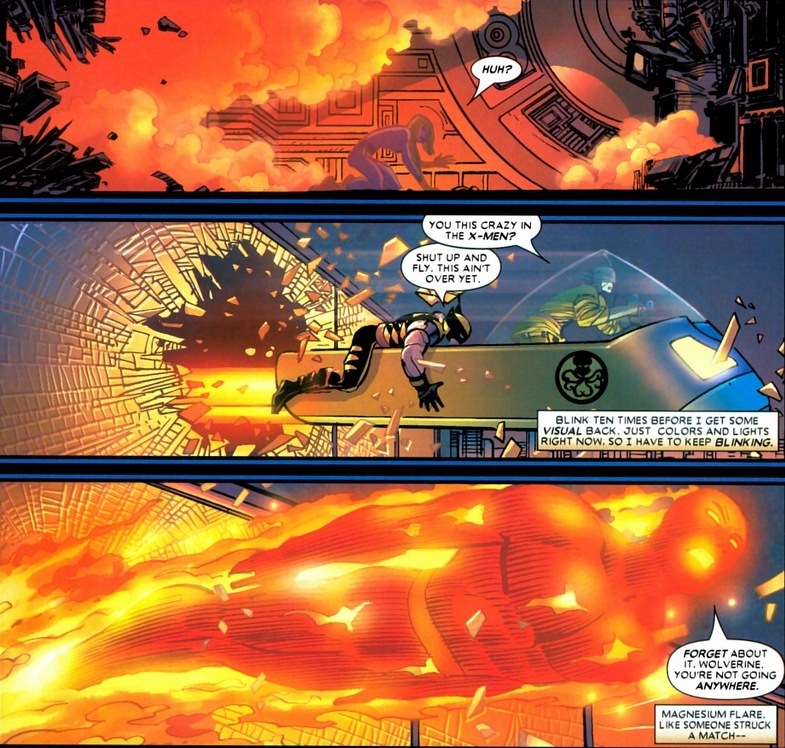 The invisibility’s a cool ability, though writers can get immensely more creative with her force field powers. Like causing someone to stop breathing or explode from the inside. Wolverine may be a scarily strong hand-to-hand combatant, but will he be able to get out of this jam where martial arts can’t? Of course he can. By cheating. The end. 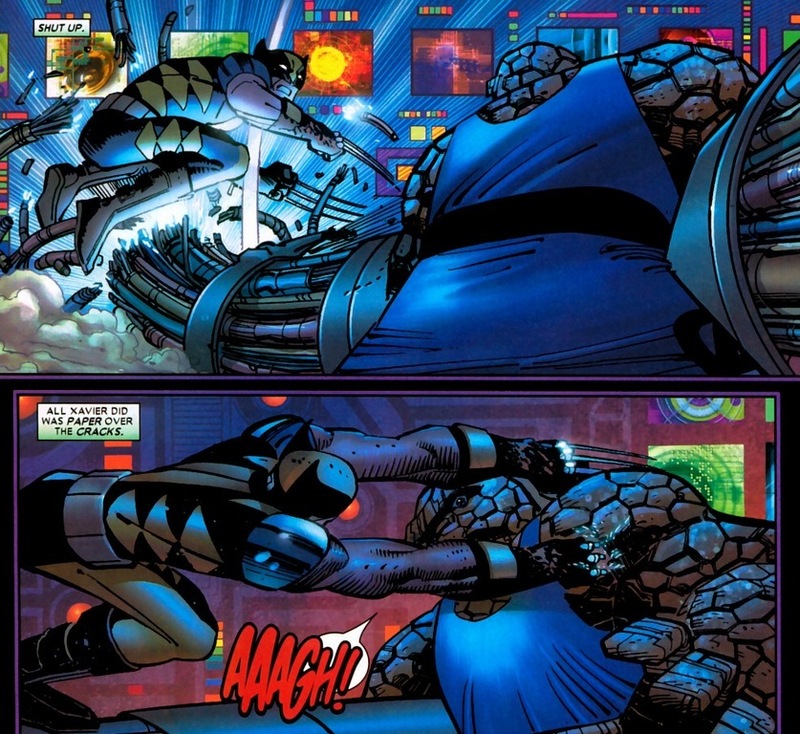 Fantastic Four wins, I guess. 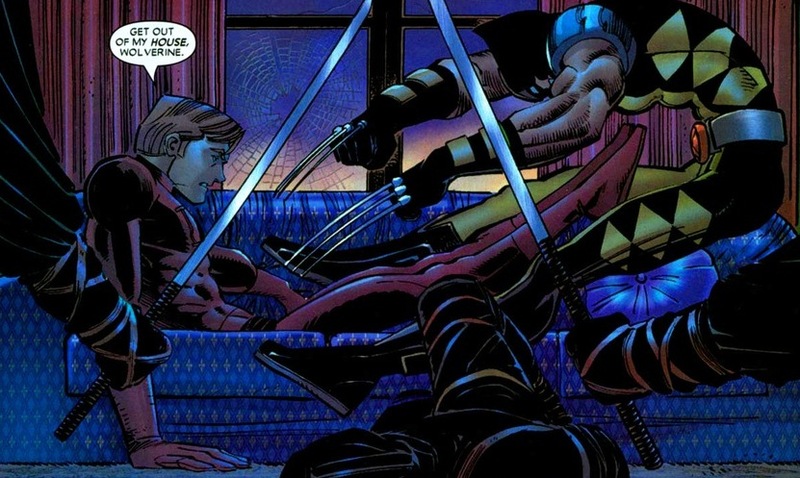 Luckily for Matt Murdock (Daredevil), Wolverine can’t cheat during this bout. Though he does bring along a few dozen ninja henchman. That’s probably cheating. 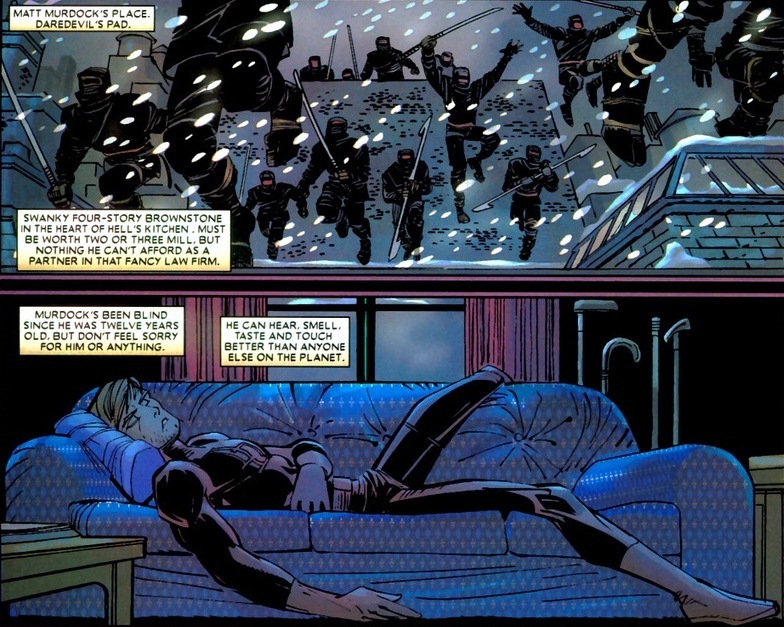 Oh, and by the way, Logan really hates Daredevil. Now, Daredevil’s fast. Insanely fast. Though to be fair, Wolverine’s most likely quicker, can take more hits, possesses a hundred plus years of martial arts training, and he has 20 ninjas backing him up. Odds favor our brainwashed X-Man. 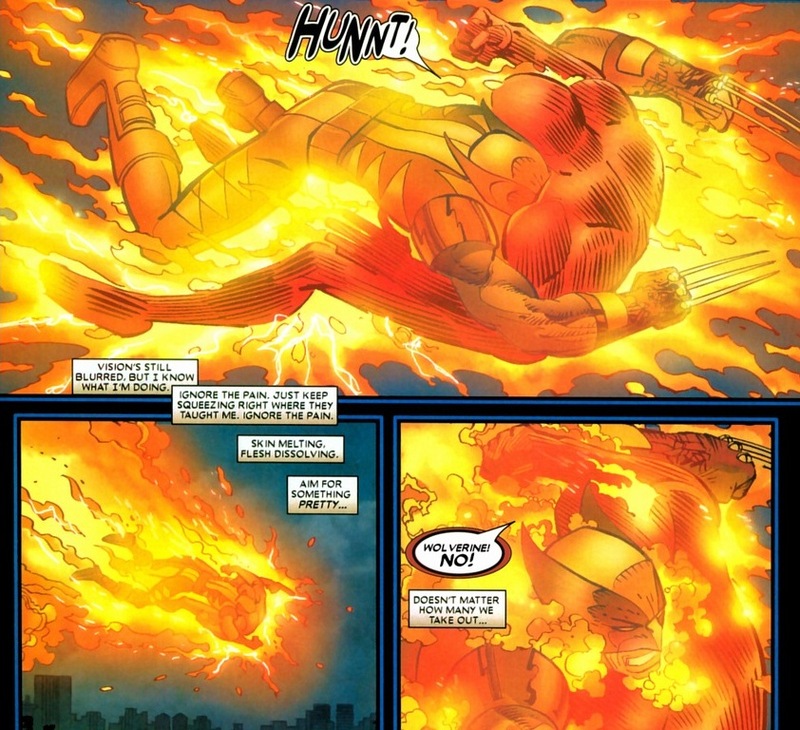 No one would argue that Wolverine tends not to be known for being warm and friendly. The only thing worse than his attitude is his smell. But he does give us the honor of explaining in excruciating detail his hatred for Murdock. Spoiler alert: major jealousy. See? A fairly legitimate reason, except that Wolverine’s also short, hairy, stinky, unpleasant, emotionally unavailable, and can’t charm his way out of a paper bag if he was being backed up by a battalion of pixies. That might figure into his slump. But what do I know? I’m not a scientist. 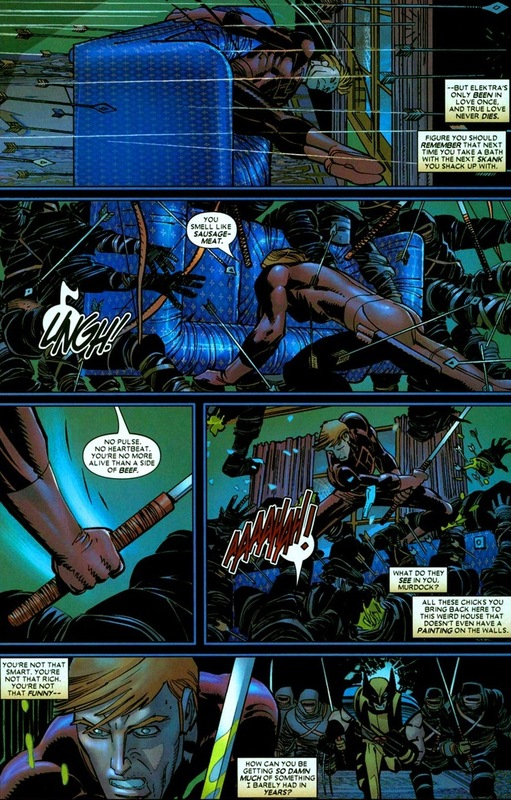 Daredevil pulls off a victory here too. 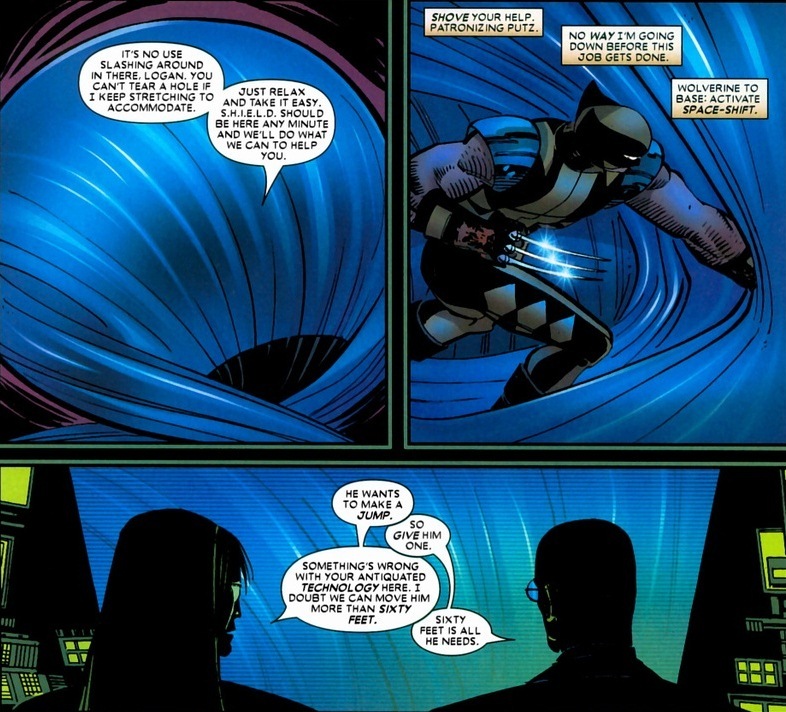 For a reputation as quite possibly the world’s greatest assassin, Wolverine loses fairly often. Makes his comics more interesting, I assume. It is rather infrequent to see Daredevil interacting with other Marvel superheroes: he’s always been a lone wolf, as you can see from the fact that, even when Marvel makes a crossover involving the 90 % of their series, Matt is ALWAYS left apart. But I hate crossovers, especially when they involve a large number of titles, so I’m not disappointed. In this case, it was impossible to leave Matt apart, because there is no Marvel character related to the Hand more than him. He had even become their boss… one of the most controversial narrative choices of the last years, in my opinion. Daredevil leading the Hand is like Punisher leading the Mafia (by the way, both the awkward things I mentioned happened). 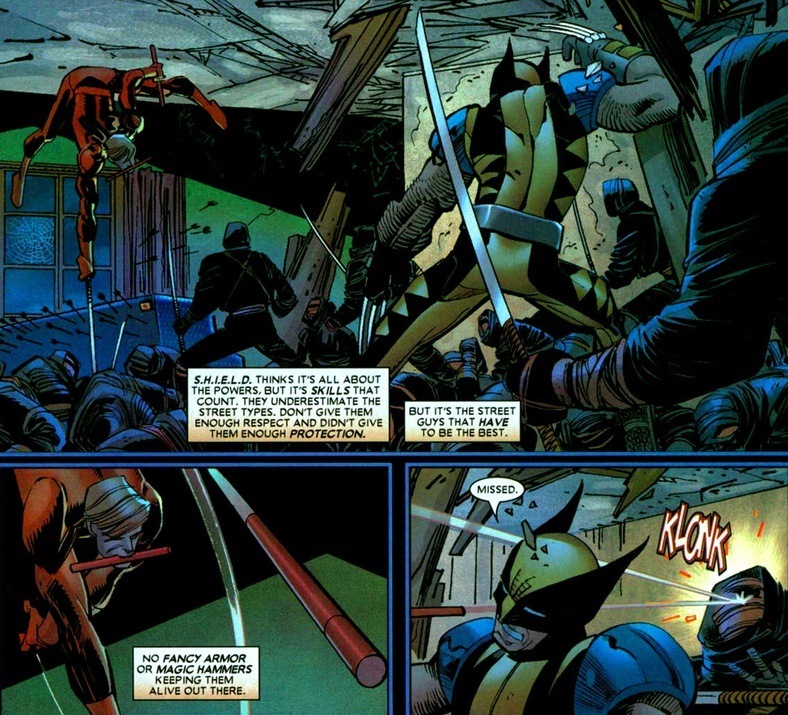 Daredevil and Wolverine are 2 characters whose union has a great potential, in my opinion: they both have strong bonds with the japanese world, and their different attitude (Matt is more rational, while Logan is pure instinct) makes the situation explosive and unpredictable. I didn’t know he had made this guest star appearance in Wolverine, now I will definitely check it out. I agree 100%. It took decades before Daredevil even considered joining the Avengers. Luckily, the Enemy of the State arc features heavily on The Hand and Elektra, both of which are prime Daredevil territory. I just enjoyed how Wolverine was characterized with such disdain for Daredevil over reasons that are so petty. It’s perfect Wolverine. Really, jealousy Logan? Even while reprogrammed?